Silas was drafted in the fifth round of the 1972 National Basketball Association Draft by the Houston Rockets. However, he was waived by the Rockets before the 1972-73 season even began. Babe McCarthy, who was coaching the Dallas Chaparrals of the American Basketball Association (ABA) at the time, decided to take a chance on Silas, and Silas signed with the Chaparrals in November 1972. Silas would prove his worth, and at the end of the season he was named to the ABA All-Rookie team. 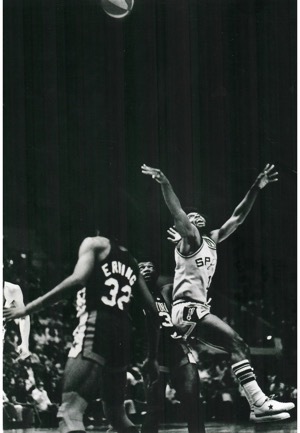 Following the 1972-73 season, the Chaparrals were sold and moved to San Antonio, becoming the San Antonio Spurs. Silas was named to the ABA All-Star team in 1975 and 1976, as well as the All-ABA 2nd team in 1975 and All-ABA 1st team in 1976. Silas's best year statistics-wise was easily 1976, when he averaged 23.8 points, 5.4 assists, and 4.0 rebounds per game; the points and assists per game would prove to be the highest in his career. 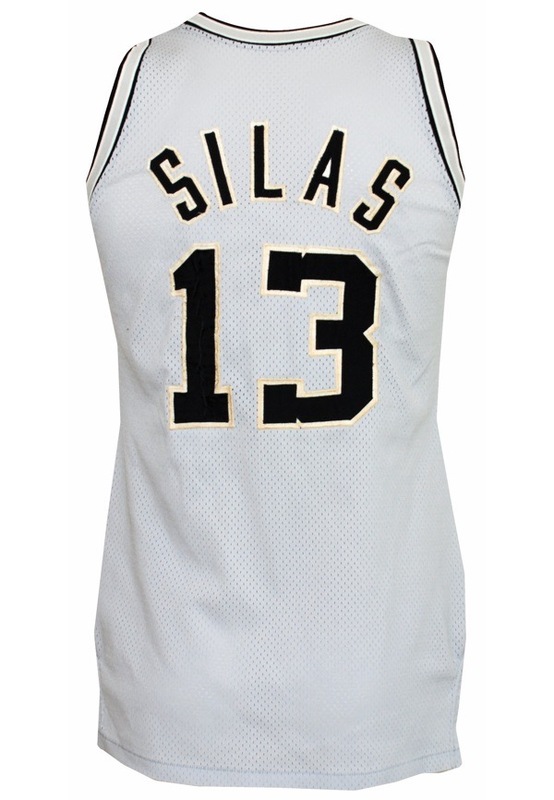 James Silas was the first Spurs player to have his jersey numbered retired by the San Antonio Spurs. 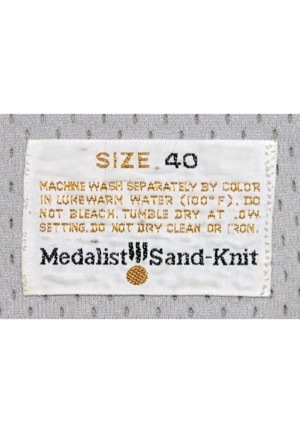 On the front tail of the jersey is the Sand-Knit size "40" manufacturer's tag. 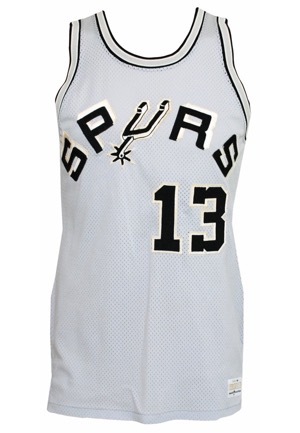 Across the front of the jersey is "SPURS" in black on white tackle twill. Below that and on the back is the player number "13" in black on white tackle twill. Across the back is the player name "SILAS" in the same tackle twill. The jersey is properly tagged, was presented to us as game-used and in our opinion shows outstanding use. Accompanied by a LOA from Photo-Match.com grading the jersey a perfect 10.